Broadcasters and video producers across the world are rapidly moving to computer-based platforms. As they do, access to any content, anytime, anywhere, is becoming a critical success factor. As growth of digital video data explodes, the introduction of digital asset archives is fuelling the IT and broadcast industries. It brings increased automation, greater efficiency, global access, and sharing of content. There are numerous factors pushing broadcasters to go digital – content sources are growing, computing devices are getting faster and more powerful, and bandwidth is getting cheaper and wider. Consumers expect more. They want content — video and audio — faster and in the format of their choice. Within broadcast organizations, production staff want simultaneous access to video and audio material, all stored in different formats, for production and other functions. At the same time, broadcasters need to archive material and make it accessible for reuse by other players (from educational institutions to video-on-demand players) to maximise usage and increase revenues. 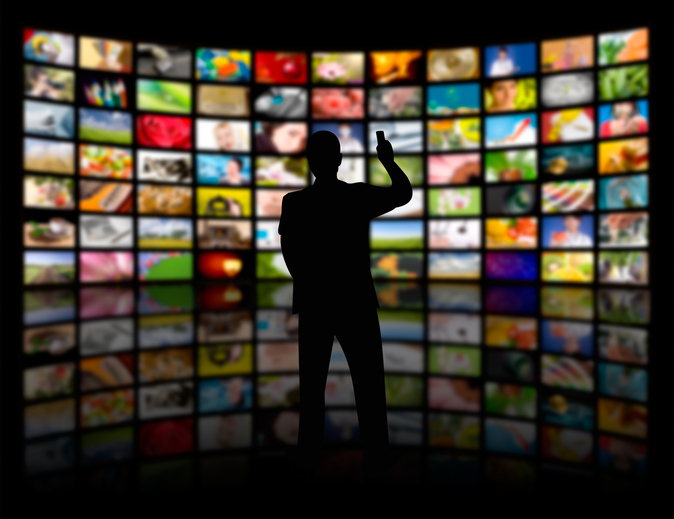 For broadcasters to keep pace with these demands, they must provide much more content across distributed networks, faster, and at a reasonable cost. In addition, the information must be delivered in such a way that it becomes much more powerful for users and is accessible anytime, anywhere. The evolution of broadcast facilities over the last two decades has helped lay the groundwork. In this changing world of broadcasting, storage is the foundation upon which the broadcast facility is built. Cost-effective storage management, archival, and retrieval services create the framework for an efficient system, and make traditional approaches appear cumbersome. To view an archived piece of material in a broadcast facility, users had to somehow identify the tape or reel on which the material resided, manually remove it from a shelf, and transport it to a viewing suite that contains the appropriate format playback device. They then had to watch the entire tape or reel to locate the material they were seeking. It’s a long, tedious process using valuable equipment, people, and space. 1) Multimedia material stored digitally is not prone to generational loss due to copying, and no quality check is required. 2) Archival storage is ideal for computerised and robotic systems, with metadata making it easy to find files. 3) Networking of video servers and archives allows data to be interchanged rapidly and without any quality loss. 4) Interfaces to other systems allow automation benefits to extend to other areas. 5) Interoperability with different video devices enables sharing of content from multiple sources. A video server and automation system bring the two worlds together. The video server, a storage and playout device, is one of the most revolutionary devices to enter the broadcast arena. It can hold many hours of video and audio content – including digital, tape-based, motion picture and photographic film formats – to be played out on demand. The video servers provide high-bandwidth, high-speed network connections to other servers, editing systems, and playout and production devices. They also allow archive system management data to be exchanged with other. The video server is controlled by an automation system, which controls the ingest, storage and play out of programs and commercials. Integrating digital storage with legacy video applications and devices is allowing any content to be accessible anytime, anywhere in the broadcast facility. Also it insures that valuable photo and video materials are securely stored and preserved for generations to come. As a solid adept of valuable data preservation philosophy, Falcon Technologies International LLC have been committed to the development of premium class archival grade storage media for more than a decade. The result of these research and development efforts we have developed two product lines that are perfectly meeting demands of modern broadcast industry. Premium Line is high performance product designed to meet professional data storage needs and has high compatibility with all major disc drives. Premium line is suitable for storage of big volumes of graphical media as well as sensitive confidential data (each disc has unique serial number and is 100% traceable). Century Archival product line is a cutting-edge technology which is built with a Gold or Platinum layer to ensure maximum security, longevity and protection for stored data. It has been demonstrated in testing that Century Archival discs are capable of storing data for up to 500 years, making this product line the most durable and secure archival digital media product available in the market today.